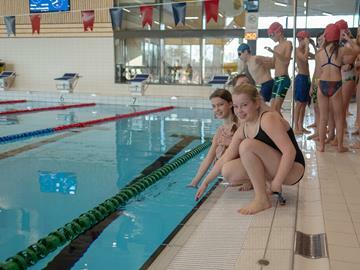 'Den Uyt' offers an indoor as well as an outdoor swimming pool. The indoor swimming pool has a length of 25 metres. Enjoy the 40 metre water chute, diving board, jacuzzi, solarium and café. 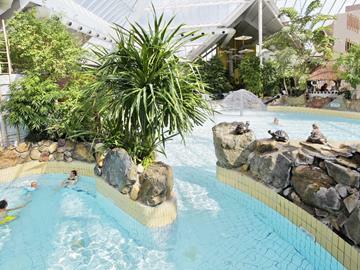 In the subtropical swimming pool of holiday park EuroParcs Resort De Kempen there is always lots of water fun to be had. Wave generator, water slide, paddling pool, indoor and outdoor swimming pool, jet streams, jacuzzis, whirl pool slide. Subtropical swimming pool Sunparks offers many hours of fun. And what about the wild water course and the Black Hole?